Week 4: Abraham. Where is All This Going? 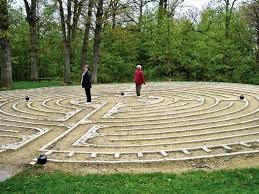 Several years ago, a group of friends and I went on a field trip to walk a labyrinth. It was interesting to do this personal spiritual practice alongside a larger spiritual community. We all started in the same place, of course, but we began at different times and progressed at different rates so we never were in the same place at the same time. We were all in various places even though we were all on the same path. When you walk a labyrinth, at first it feels a bit like a maze with a pathway that twists and turns. 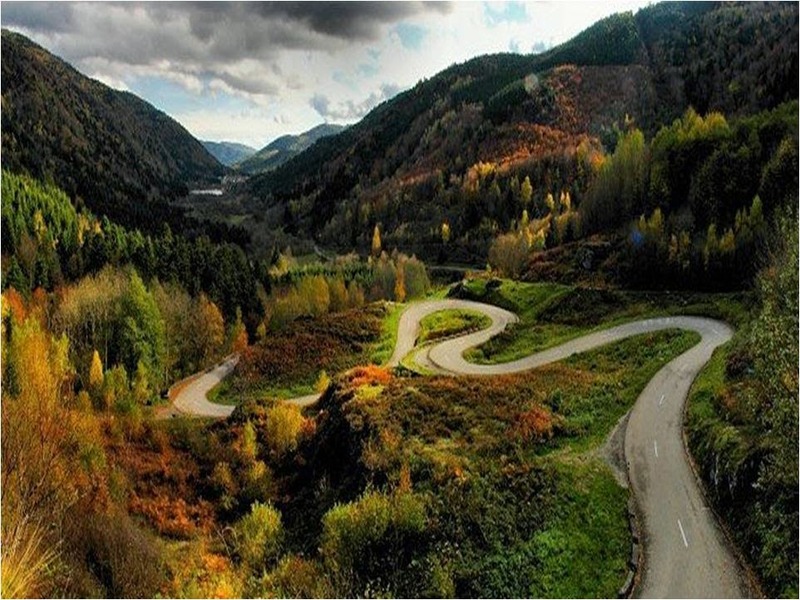 But unlike a maze, in a labyrinth there is never a dead end; there is always a way forward. Sometimes we would be oh so near the center and then the way would spiral around until we found ourselves almost back to where we had started and our orientation would be completely readjusted. The Christian practice of walking a prayer labyrinth developed centuries ago as a mini-experience of holy pilgrimage with Jerusalem as its center. These days, many Christians who engage in this spiritual practice understand the center not as a geographic place but rather as an experience with God. Walkers of this way also understand that our “center” is not one location; rather the whole labyrinth – our entire journey of faith – is embraced within THE Center, the Ground of all being. Everything in all creation is enveloped and enfolded within the One who is Love and Truth and Reality. As we read the Genesis stories, we hear God’s call for Abram to “go,” to enter the pilgrim’s life and leave behind everything familiar and comfortable. Abram is called to walk away from land and home and family and to walk toward a totally unknown future in his labyrinthine way with God. Abraham’s faith and faithfulness is legendary and has become the foundation of the religious faith of most of the people on our planet. Abraham is the shared ancestor of Jews, Christians and Muslims – the “father of many nations” – and his example of faith gives us a touchstone while we figure out how we too might be a blessing to the nations of the earth in which we live. But the Abraham narratives also show us how often he stumbled in his walk with God. We read about his misstep of fear when he told local kings that his wife was his sister and he let them take her into their harems. We read about Abram being tripped up by Sarah’s manipulations to have a son by using and abusing the slave woman Hagar. Abraham’s journey in faith happened stage by stage and step by step; his labyrinthine walk with God was in fits and starts and twists and turns. When we actually read these stories for ourselves instead of hearing them yet again in their children’s version, we can recognize what a mixed bag our Bible heroes really are. But even with Abram’s imperfect faith, we see in him a stubborn faithfulness that helps all of us mixed bag followers to keep hoping against hope that God is more faithful than we can ever be. Abraham was a pivotal a figure for the apostle Paul as Paul read and re-read the ancient stories and reinterpreted the historic faith of Judaism in light of the Christ event. In his letter to the Romans, Paul draws extensively from the story of Abraham as he argues his point that – even though God has done a whole new thing in the universe in the event of Jesus Christ – still God’s work of making things right in the world, of making people right with God has been going on for a very long time. Paul’s own faith is centered on the God who raised Jesus from the dead, the God who generates hope when there is no hope, the same God who acted in the ‘dead’ bodies of Abraham and Sarah to give new life … For Paul, all those such as Abraham who trust in God’s impossible promises have resurrection faith – even though they may never have heard of Jesus. Now that’s a hopeful interpretation! If Abraham is the father of the faithful, then surely ALL people whose faith points them to the one true God – no matter what they might call the One who is beyond all names, no matter what they might understand about how that hope has been accomplished – surely still this is faith that God honors and claims and reckons. Paul’s term ‘reckoned, counted as righteous’ has legal connotations, but it does not mean that a judge treats the accused ‘as if’ they are not guilty. Rather, in Paul’s argument, God’s pronouncement of ‘righteous’ is performative language that creates the reality it pronounces. Those who trust in God are declared righteous – and so they are . A minister pronounces: “You are husband and wife…” and something very real comes into being. Performative language. An umpire calls: “Strike!” … and so it is. Performative language. Paul proclaims that – because of the work of God and the Word of God made visible in Jesus Christ – the guilty are “right” and sinners are “righteous” … and so we are. Performative language. In the Gospel of John, we also find that the Abraham story has special significance for John’s Jesus. “Before Abraham was, I AM,” he claims (8:56). “I AM the Way- Truth-Life” (14:6). For the Christians in John’s community, following Christ “in the way” meant their lives were immersed in The Way of God that has been unfolding throughout history – even before Abraham. And yet here, in this one Jesus the Christ who is the Way of God, all our journeys of faith are included. Like a cosmic labyrinth, God’s Christ encompasses all creation: every beginning, every ending and every step in between: “even though they may never have heard of Jesus” – Boring and Craddock remind us. Journey is and has always been the way of the people of God. Journey is an important metaphor that stands in opposition to seeing ourselves as a settled people. Settled faith becomes comfortable, safe, predictable. We easily become set in our ways. We can easily become stuck. That’s why an intentional and disciplined faith journey is crucial. Even when we journey in fits and starts as Abraham did; even when we don’t know where we’re going or exactly what we’re doing; even when we make mistakes or refuse what God is unfolding before us – even so we, like Abraham, can ‘hope against hope’ that all this is going somewhere – somewhere good and right. Like Abraham, who saw the fulfillment of God’s promise not with human eyes but with the eyes of hope and confidence, we too entrust ourselves to the One who is our Eternal Center, the One who generates all hope. And that reminds us why we need each other, why we need spiritual community – to encourage each other, to embody hope for one another throughout the journey. 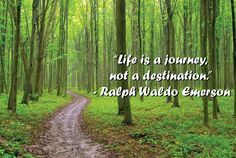 Whenever we see ourselves journeying with Abraham, on the move with Paul, following Christ in the Way – then we can live with confidence that in this journey of understanding, of thought, of theology, of practice, of life, we are going somewhere. Even though we may feel sometimes like we’re going around in circles, maybe what we really are doing is progressing through the spiraling path of a cosmic labyrinth that God is unfolding before us. Where is all this going? I wonder is that really ours to know? When we live our lives in God’s labyrinth, we simply follow the path that God opens up before us. We are called to take the next step and then the next step after that. We are called to faithfulness. Eugene Boring and Fred B. Craddock, The People’s New Testament Commentary (Louisville: Westminster John Knox Press, 2004), 478-479.